Sarah Day’s most recent book is Tempo (Puncher & Wattmann, 2013); it was shortlisted for the Prime Minister’s Literary Awards and won the University of Melbourne Wesley Michelle Wright Prize. She lives in Hobart where she teaches year 12 Creative Writing. 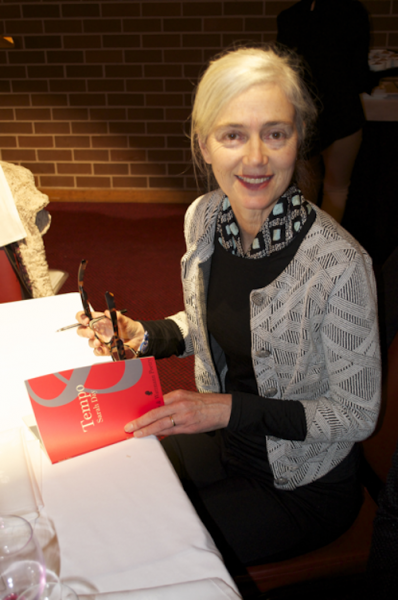 Her poems have been widely anthologised in Australia and overseas and have been put to music by British composers Anthony Gilbert and Adam Gorb, and Tasmanian composers Andrea Breen and Damian Holloway.